Providing exceptional fertility services, care, and results at affordable prices. New Hope selects and screens world-class egg donors and surrogates. All candidates undergo medical and psychological screening and compensated based on their requirements. Welcome to New Hope Surrogacy. My name is Julia and I am the Director of our agency. Our talented team has been providing surrogacy, egg donation, and adoption services for almost 20 years. Our clients tell us Kiev is an undiscovered gem. Our medical facilities are modern, high-living standards ensure our surrogates are healthy, egg donor selection is world-class, and our costs are some of the lowest in the world. We have worked hard to build a practice that delivers success. A practice that is ethical, responsive, and experienced. 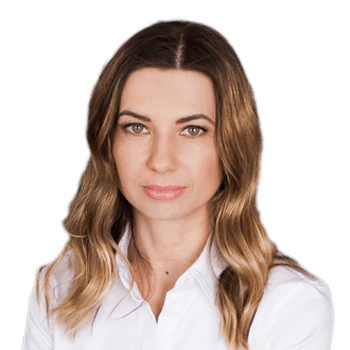 All intended parents speak with me personally before starting their process in Ukraine, I'm available 24/7 to all of our clients and if there is a problem before, during or after the process, I am available to each and every client. I hope we have the opportunity to help you reach your dreams. At New Hope your success is our main concern. We are a comprehensive, professional and experienced team providing services and support in the most advanced reproductive technologies: IVF, egg donation and surrogacy programs in Ukraine. Our egg donor and surrogacy agency is located in Kiev, the capital of Ukraine. Being situated in Europe, the Ukraine offers high-standard European services but at a much lower price. Kiev is the largest cultural, scientific and industrial city of Ukraine with ancient history, beautiful churches and cathedrals, museums, delicious food and inexpensive restaurants and, of course, advanced fertility centers. We are dedicated to helping you achieve your dream of building your family while minimizing risks and expenses. We have close relationships with the best fertility clinics in Ukraine for your IVF, egg donor or surrogacy programs. Our full service agency works exclusively with the top fertility centers that have high success rates and provide the best service to our clients. New Hope matches intended parents with carefully screened surrogates and egg donors that meet our strict criteria. Our team has years of experience in Family Law, Adoption, and Fertility Services and we have worked with international adoption since 1999. In 2012, Ukraine prohibited adoption of healthy children under 5 years of age for foreign citizens increasing demand for IVF and Surrogacy services. We only work with the most successful and responsive private medical clinics and maintain close relationships with our doctors. Our clinics provide a full range of IVF and fertility services with success rates comparable to those in Western European and the United States. 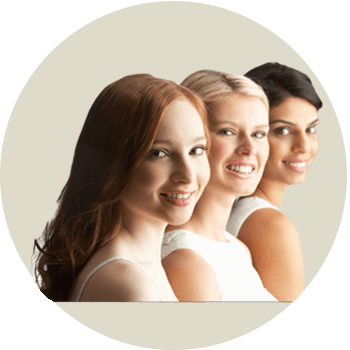 Our modern clinics are located in Kiev with easy access and availability. Treatment options include In-vitro fertilization, Intrauterine insemination and baseline fertility workup; Genetic testing and advanced IVF lab procedures; Male fertility services, including intracytoplasmic sperm injection; donor sperm and egg freezing, storage, and retrieval services. The cost of IVF, egg donation and surrogacy services in the Ukraine is significantly lower than in countries such as the United States, Australia or Canada - offering services at prices 50-70% cheaper than in other countries. Compared to other international destinations such as India or Mexico, the Ukraine has a comparable or lower cost profile even with all travel and lodging expenses included. We work closely with our clients to design programs that reflect all of their needs. Our team will take care of every aspect of your future treatment plans including specialty donor and surrogate requests, document translations, legal support and advise, appointment management, and translation services. Kiev is an elegant and safe destination for you to carry out your IVF, egg donation or surrogacy program. The Ukraine has no visa requirements for citizens of the European Union, United States, Canada, as well as most of CIS and Scandinavian countries. Flights into one of Kiev's two airports (IEV, KBP) are abundant and relatively inexpensive and lodging in Kiev's city center is exceptional. The city is worth a visit on its own merit with its ample world-class restaurants, efficient art-deco metro stations, museums, monasteries, and shopping. We will help with every step of your journey including flights, lodging, local transportation, and also provide local cell phones for our client's convenience. Being fair, candid, and ethical are our core values at New Hope. Nearly all aspects of our practice are purposely transparent: donor and surrogate compensation, clinic service costs, agency fees, payment records, to name a few. Since 1999 we have successfully completed more than 1100 international adoptions and surrogate programs for our clients in the USA, Canada, Ireland and other European countries. Our lawyers and coordinators have over 15 years of experience in the legal and medical fields. We have a history of success. Fertility treatment is a sensitive issue and our client’s privacy is our priority. All communication involving patient care is confidential. While our clients have provided photos and personal information when contacted directly for reference purposes, at New Hope we have a strict policy of not posting newborn or intended parent photos or information.